Additionally, there are a number of charities providing dedicated support and advocacy for Service leavers and their families, as well as a new online Veterans’ Gateway, to provide a first point of contact to connect veterans with the right support. In 2011, the UK Government published The Armed Forces Covenant, which states that no member of ‘The Armed Forces Community’ should face disadvantage when accessing public or commercial services, with ‘special consideration’ seen as appropriate in some cases. The Armed Forces Community is defined as current and former Service personnel and reservists, and their families, including families of deceased Service men and women. The Covenant outlines that former Service personnel should have the same access to social housing and benefits as everyone else, as well as specifying that training, education and job search support should be available for Service leavers. They should also receive priority treatment in the NHS if their condition relates to Service. For the great majority of Armed Forces Service leavers the transition to civilian life is relatively unproblematic. However, it is recognised that for some Service leavers, issues can occur in the transition from military life, including problems relating to mental health and/or physical impairment following active Service, homelessness, drug and alcohol use, and interactions with the criminal justice system. Research has also raised concerns around the financial hardship faced by some Service leavers, which can be exacerbated by difficulties in accessing employment and benefits. Furthermore, it is acknowledged that some Service personnel come from ‘vulnerable backgrounds’, and while life in the Armed Forces may ‘suspend’ these vulnerabilities for a time, they can resurface once people leave Service. With regards to the social security benefits system, specific exemptions and easements are made for Service leavers and their families who are seeking to claim benefits, as part of the Department for Work and Pensions (DWP) commitment to the Armed Forces Covenant . However, much existing research, while important, focuses either on employment support, provided by specialist services available prior to and in the immediate period following discharge, or on the vulnerabilities of Service leavers facing these specific challenges. Very little is therefore known about Service leavers’ interactions with, and experiences of, the mainstream social security benefits system. To address this knowledge gap we have developed a new project which will link in with our existing Welfare Conditionality project, but will focus specifically on the experiences of Service leavers and their families. Our new project – Sanctions, Support and Service Leavers: Welfare Conditionality and Transitions from Military to Civilian Life – has been funded by the Forces in Mind Trust (FiMT), a £35 million funding scheme run by the FiMT using an endowment awarded by the Big Lottery Fund. It is a major two-year project (2017-2019) being undertaken jointly by researchers at the University of Salford and the University of York, and represents the first substantive qualitative research project focusing specifically on how Service leavers and their families experience the mainstream conditional social security benefits system. 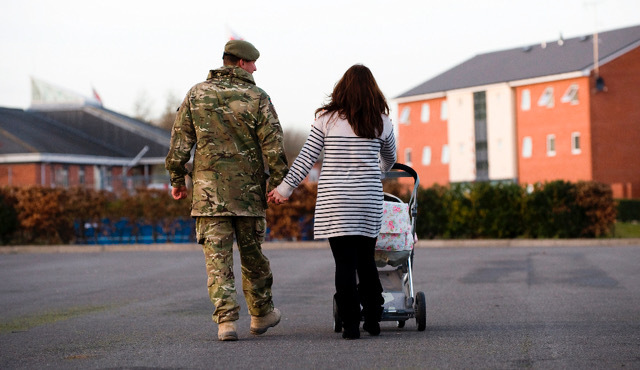 Through this research we will be exploring how Armed Forces Service leavers come to access the mainstream benefits system, and whether or not it appropriately supports them in their transition to civilian life. To set the scene for this groundbreaking new project, we have produced a briefing paper, which provides a brief policy background and overview of the project. We would love to hear from any individuals or organisations who are interested in getting involved and supporting the research. Contact us via info@welfareconditionality.ac.uk. Dr Lisa Scullion is Reader in Social Policy and Associate Director at the Sustainable Housing and Urban Studies Unit (SHUSU) at the University of Salford, a member of the WelCond team and Project Director of the Sanctions, Support and Service leavers project. This looks fascinating and will be a very valuable research. However, I would raise your attention to the fact that the Armed Forces Covenant is regularly breached by the government, and ‘support’ tends to be directed at modern day veterans, whilst old war pensioners tend to be disregarded. I wrote an article about this for the Journal of Public Mental Health and the link is above. Good luck with the research and I’ll be interested in the findings.